Oh, yeah. I’m tight like that with the Easter Bunny. So, on Saturday, he did his annual “hop by,” leaving gifts on the front step and placing eggs all over the yard, ringing the doorbell once he was done. And the girls, as they do every year, ran out and tried to see him before he hopped away. Would you believe that they just missed him? Shame, man. He’s a fast one, that Easter Bunny. Oh, well. Missing him again this year was no biggie. Because there were eggs to hunt! 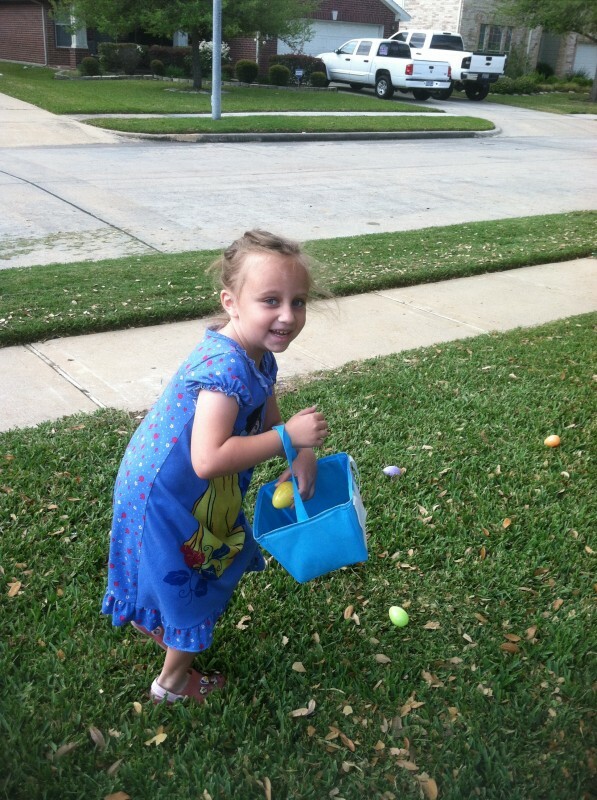 Ana was pleased to discover that these particular eggs were filled with Hershey kisses. 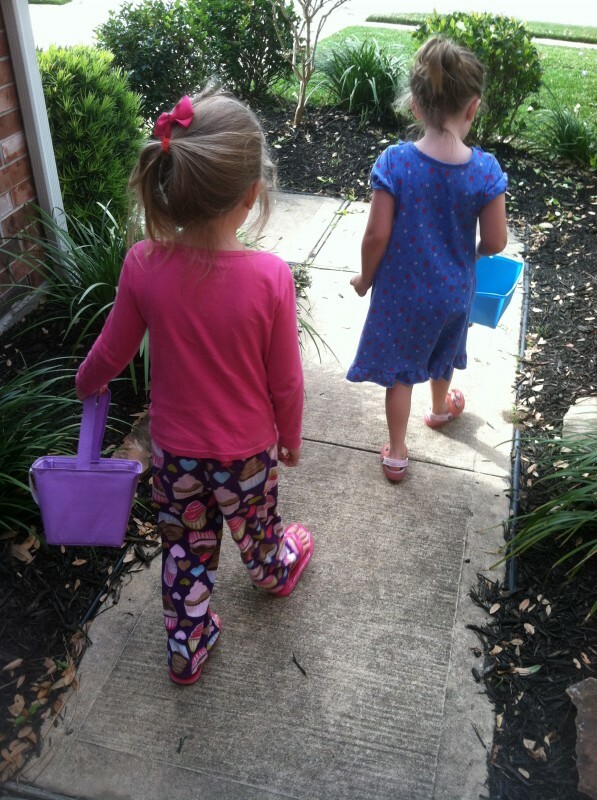 So while Emma pontificated on her shoes and how fabulous she was in them, Ana managed to nab a good portion of the eggs… which she did indeed share with her sister. 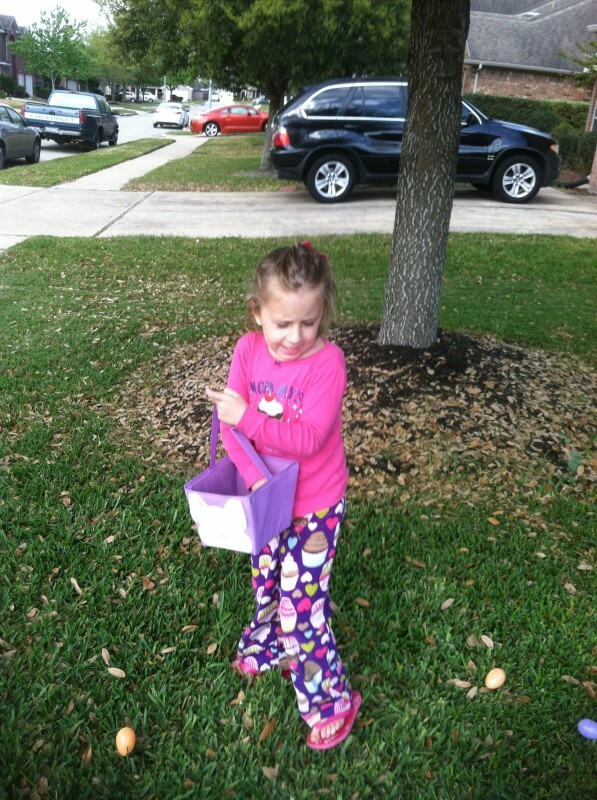 Aww… it’s an Easter miracle! …err, I mean, after he got done delivering all those eggs to children all around the world. No Foolin’ — it’s a GIVEAWAY!